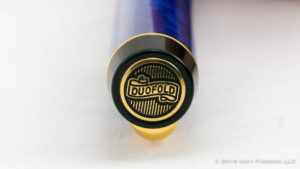 As the fountain pen has moved from an everyday tool to an esoteric analogue writing instrument used mainly by hobbyists and collectors to, in some cases, luxury good, many luxury brands have worked to integrate fountain pens into their offerings. 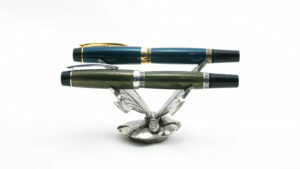 (Or conversely, long-time pen brands like Montblanc or Visconti have moved into other luxury offerings like watches or leather goods.) 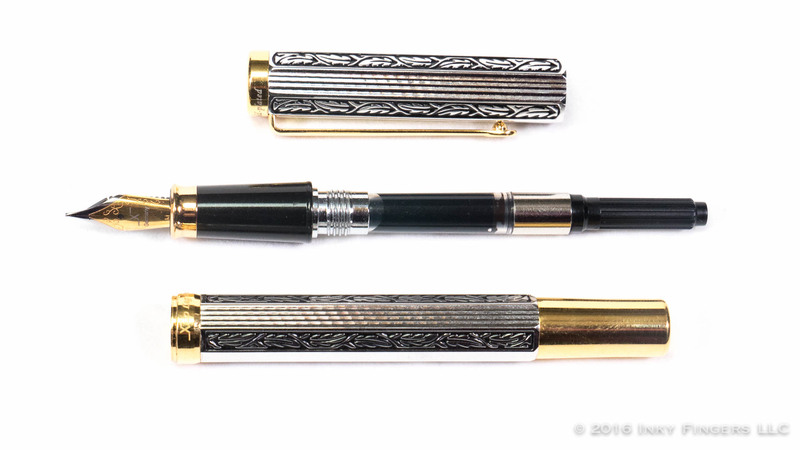 Often, these brands do not do their own pen manufacturing; instead they contract with other firms to create their private-label pens. Such is the case with Xezo, a Texas-based private label luxury goods brand. 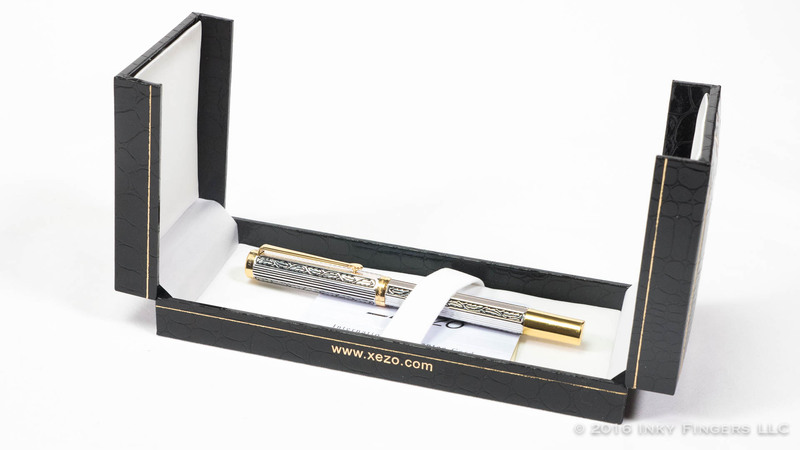 Xezo has its watches manufactured in Switzerland, and its pens in Germany. As a company that engages mainly in direct-to-consumer marketing, Xezo as a brand has not gotten as much attention as it otherwise might due to a lack of retailer support or a presence in online communities. 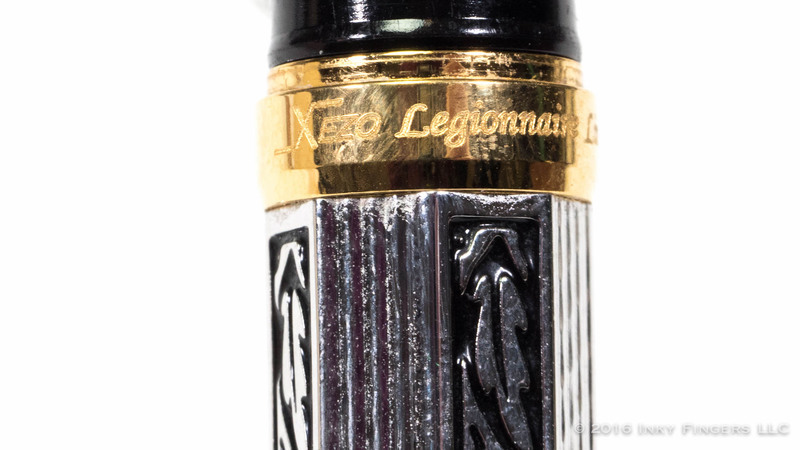 So when Pen Habit viewer James offered to lend me his Xezo Legionnaire, I was excited to get a chance to try yet another brand that is new to me. 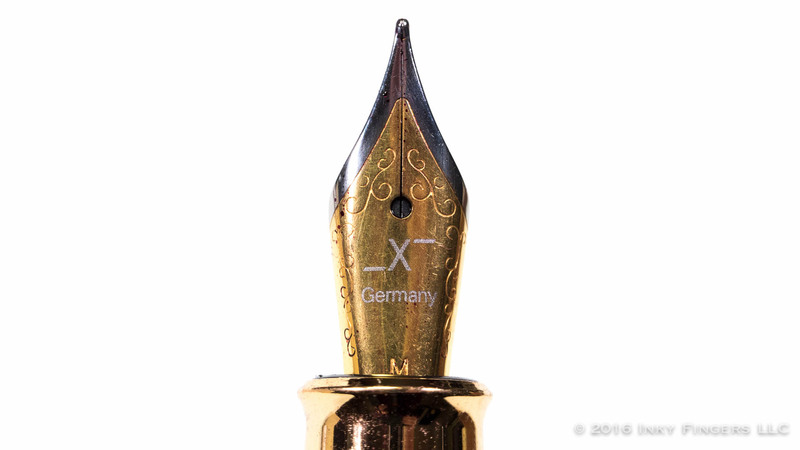 Removing the pull-off cap reveals a long, black, plastic section that tapers toward a gold flange and a #5-sized steel nib. 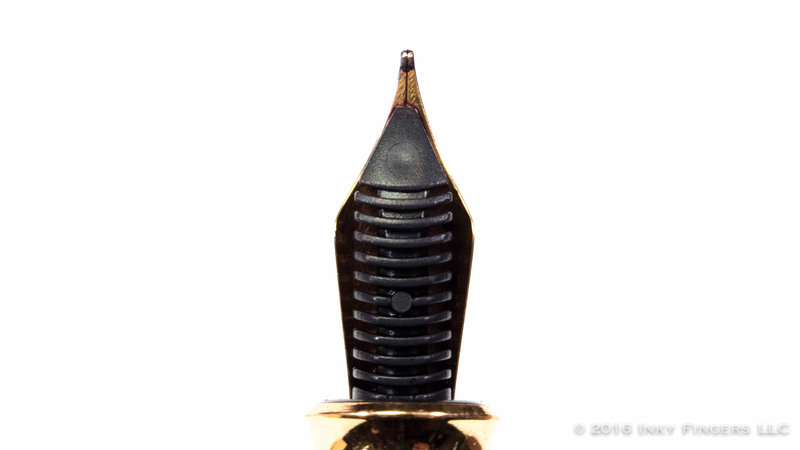 (I would guess it is a Jowo nib, based on the shape of the feed). The plastic of the section does look a bit cheap compared to the rest of the pen, but I am glad they didn’t try to make the section of slick, fingerprint-attracting metal instead. 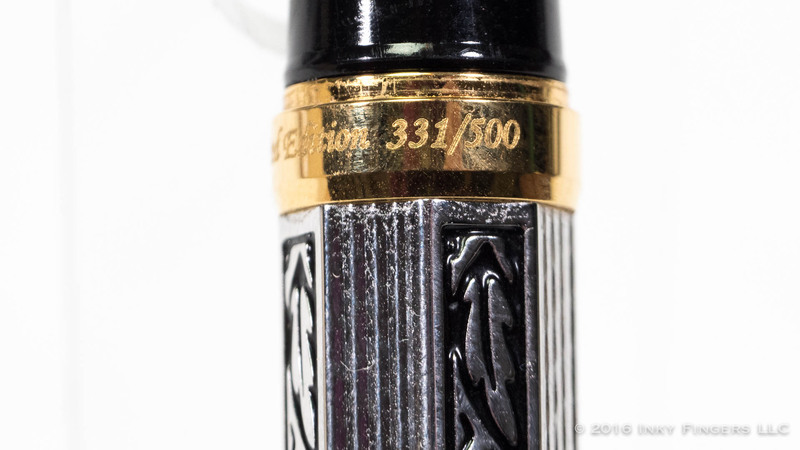 At 32 grams uncapped, the Xezo Legionnaire is something of a heavy pen, and has a grip that is slightly narrower than I prefer. Still, it sits nicely in my hand and is well-balanced. 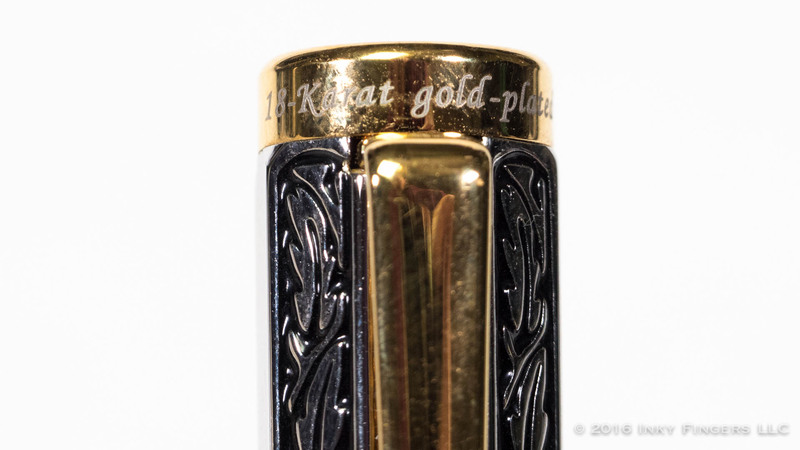 The pen can be posted by means of a very snug-fitting inner cap that meshes perfectly to cover the gold finial on the end of the barrel. 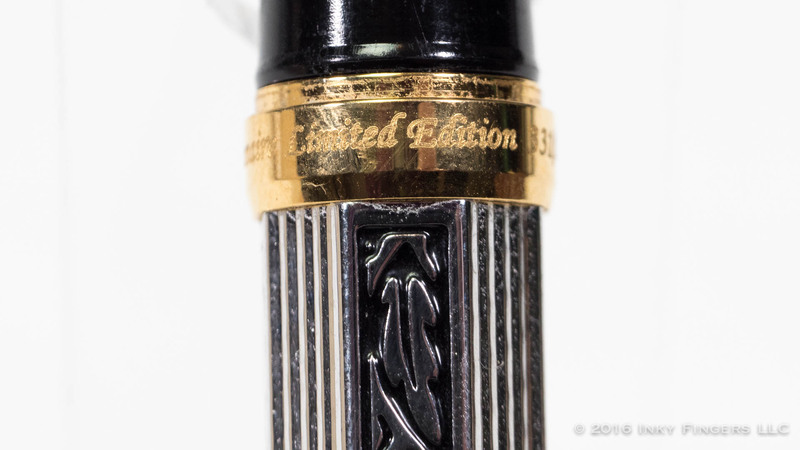 This nice design feature means that you don’t have to worry about marring the finish by posting the pen–that plastic inner cap protects the gold plating on the finial. But posting makes the pen too long and too back-heavy for me, so I never find myself posting this pen. The steel nib on this pen was smooth but had some odd inconsistencies with ink flow for me. I first inked the pen with J. Herbin Orange Indien. The pen worked well for me taking notes or practicing my letter forms in particularly dry meetings at the office. When I got it home and started writing out this review by hand, however, I ran into some issues with ink starvation. Since J. Herbin inks tend to run dry in the first place, I rinsed out the remainder of the Orange Indien (which is not my favorite color to begin with) and switched to a wetter-running Montblanc Lavender Purple. 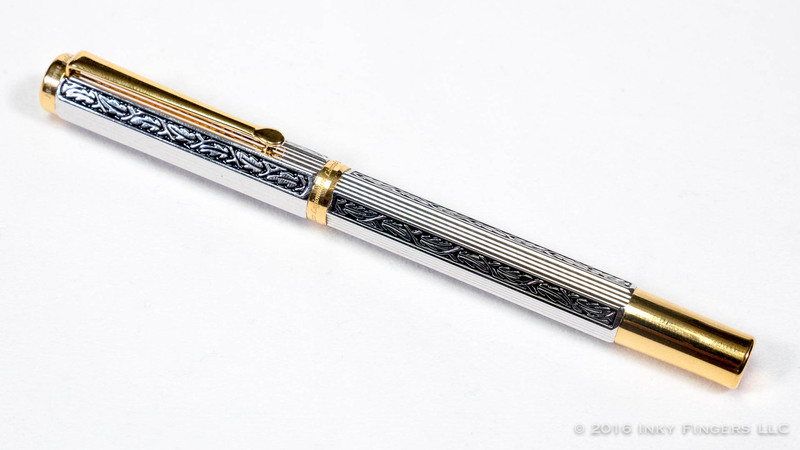 The nib still ran on the dry side but never had the starvation issues I saw with the Orange Indien. Then, toward the end of writing out this review by hand, it was like the pen took a big gasp of air, and the ink started flowing wetter, bringing it from a dry flow to a moderate flow. I suspect that the main culprit on this pen is the converter, which is one of the cheaper standard international options available. If this is a pen you’re interested in, I would highly recommend spending the $5 and getting a better converter, like a Schmidt K5. The nib polish was a bit hard to pin down as a result of the ink flow inconsistencies, but I would place it about a 5 on the Matt Armstrong feedback scale (1 being butter on hot glass, 10 being writing on coarse-grit sandpaper.) It wasn’t an unpleasant feedback, but it was a bit more than I generally prefer. 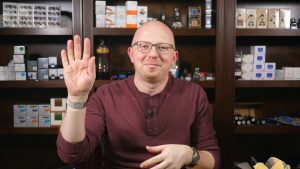 Xezo makes only makes their fountain pens available with medium nibs, but their nibs are standard #5-sized nibs, so you could swap them out with other offerings if you wanted. The Xezo medium on this pen wrote on the fine side of medium, but that may be due more to the ink flow than the nib grind. 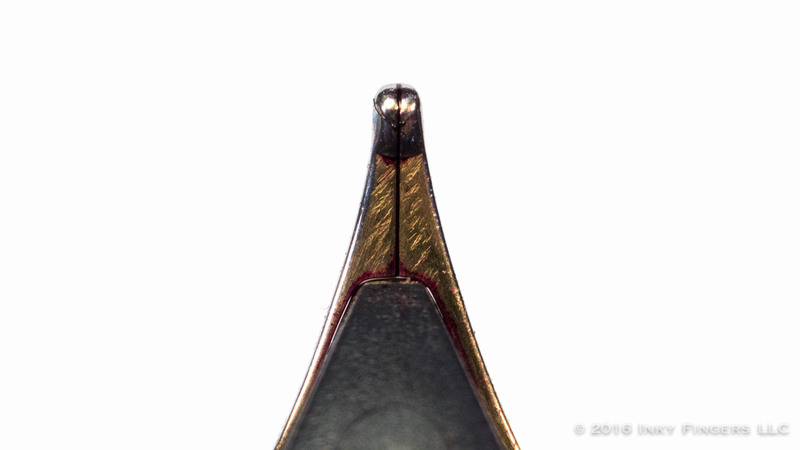 The nib’s tines were in perfect alignment, though, and the nib is properly seated. 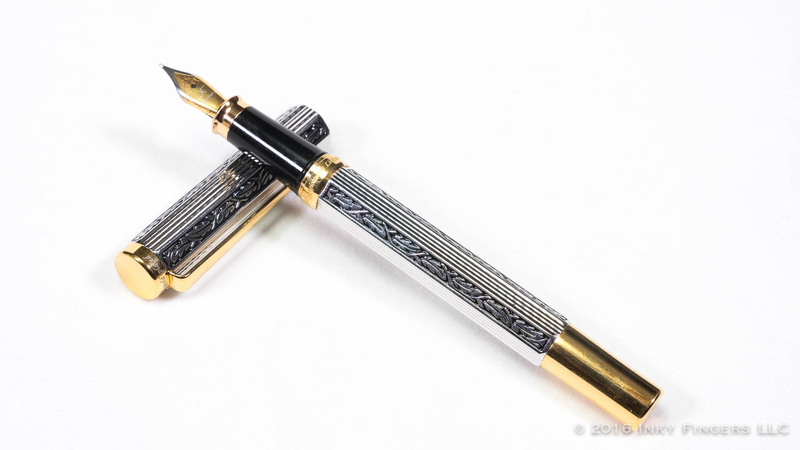 It’s a good writer, but it not exhibit the full “perfection” I would hope for of a pen at this price point. 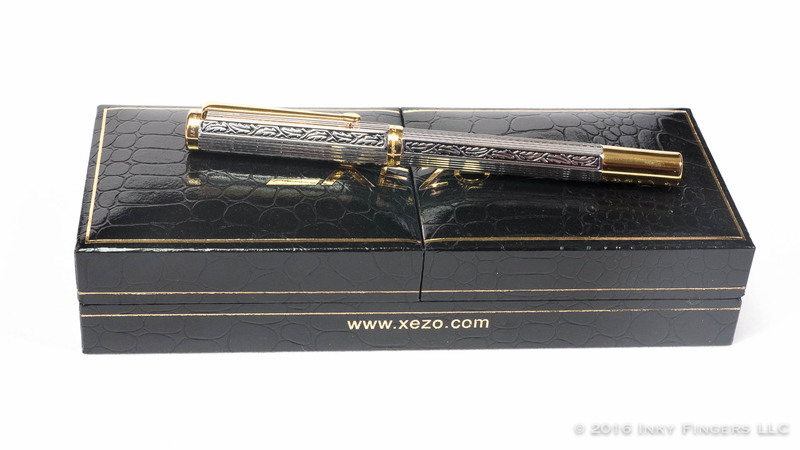 Speaking of price, the Xezo Legionnaire retails directly from Xezo for $150US. In my mind, this is a bit too much. 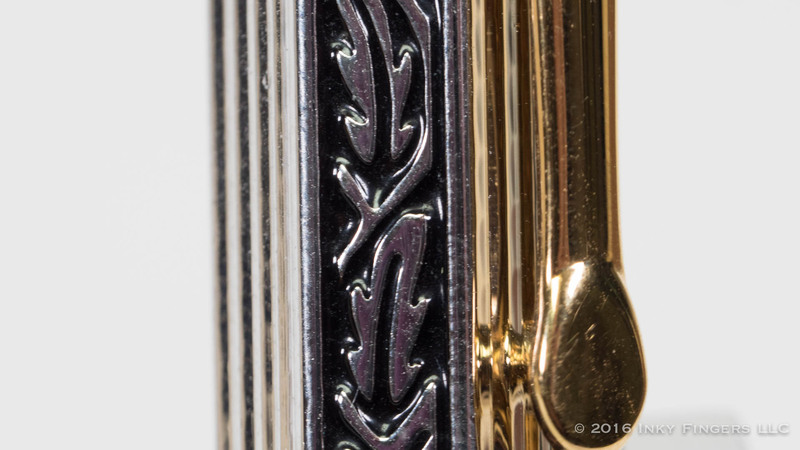 The manufacturing of the pen body is beautiful, but at $150, a stock medium steel nib should write better than this. 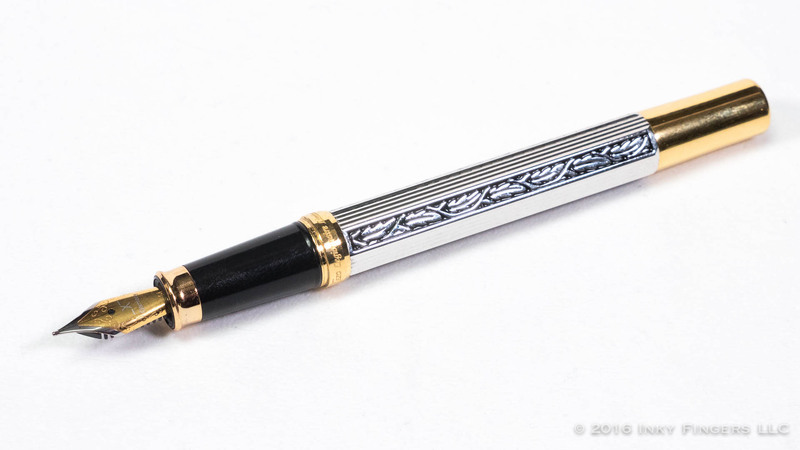 Through a quick Google search, however, I was able to find the pen available at a discount from the price on the Xezo website through retailers not generally known for fountain pens (like Overstock.com). 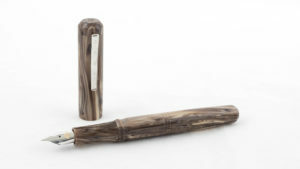 At $120-$130, I actually think this pen is a decent value. Sure the nib might need a touch of work, and you may need to upgrade the converter, but overall, it’s a well-built, attractive pen that fits nicely in the hand and provides a good bit of heft. Were this my pen to keep, I think I could work on the nib to really make it sing; it’s not there yet, but it’s close. 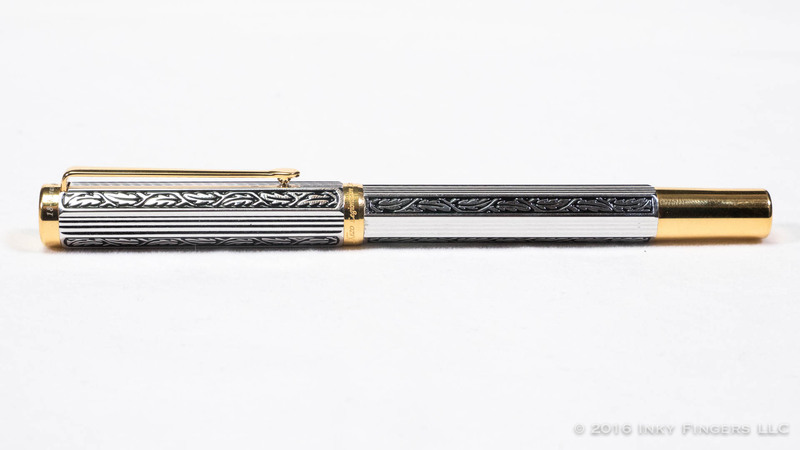 But in its current iteration, this is a pen that I like, but not a pen I love.